§ 254. But this consideration sinks into utter insignificance, in comparison with others. Requisitions were to be made upon thirteen independent states; and it depended upon the good will of the legislature of each state, whether it would comply at all; or if it did comply, at what time, and in what manner. The very tardiness of such an operation, in the ordinary course of things, was sufficient to involve the government in perpetual financial embarrassments, and to defeat many of its best measures, even when there was the utmost good faith and promptitude on the part of the states in complying with the requisitions. But many reasons concurred to produce a total want of promptitude on the part of the states, and, in numerous instances, a total disregard of the requisitions.24 Indeed, from the moment, that the peace of 1783 secured the country from the distressing calamities of war, a general relaxation took place; and many of the states successively found apologies for their gross neglect in evils common to all, or complaints listened to by all. Many solemn and affecting appeals were, from time to time, made by congress to the states; but they were attended with no salutary effect.25 Many measures were devised to obviate the difficulties, nay, the dangers, which threatened the Union; but they failed to produce any amendments in the confederation.26 An attempt was made by congress, during the war, to procure from the states an authority to levy an impost of five per cent. upon imported and prize goods; but the assent of all the states could not be procured.27 The treasury was empty; the credit of the confederacy was sunk to a low ebb; the public burthens were increasing; and the public faith was prostrate. Dr. Rush, in apologizing for the defects of the confederation, has observed, “The confederation, together with most of our state constitutions, was formed under very unfavorable circumstances. We had just emerged from a corrupted monarchy. Although we understood perfectly the principles of liberty, yet most of us were ignorant of the forms and combinations of power in republics. Add to this the British army in the heart of our country, spreading desolation wherever it went.”a The North American Review, for Oct. 1827, contains a summary of some of the prominent defects of the confederation. Art. I. p. 249, etc. 1 Amer. Mus. 1786, p. 270. Language equally strong, and almost identical in expression, will be found in Mr. Jay’s Letter, addressed to the people of New-York, 1787; 3 Amer. Museum, 554, 556. 5 Marshall’s Life of Washington, 64. See also 2 Pitk. Hist. 217; North Amer. Rev. Oct. 1827, p. 249, 254, 256, 259. See 1 Amer. Museum, 275, 290, 364, 430, 447, 448, 449. The Federalist, No. 15 to 22; 2 Amer. Museum, 383; Id. 395, etc. ; 3 Amer. Museum, 62 to 69; Id. 73; Id. 334 to 338; Id. 342; Id. 348, etc. ; Id. 549, etc. ; 1 Kent’s Comm. 201. 5 Marshall’s Life of Washington, 31. See also 1 Kent’s Comm. 199; 1 Elliot’s Debates, 208, 209, 210, 211; North Amer. Rev. Oct. 1827, p. 249, 257, etc. ; The Federalist, No. 15. Journals of Congress, 6th of March, 1779, 5th vol. p. 86 etc. to 90. Penhallow v. Doane,3 Dall. 54; Carson v. Jennings, 4 Cranch, 2. The Federalist, No. 15. See also 1 Jefferson’s Corresp. 63; President Monroe’s Message of May, 1822; 1 Tucker’s Black. Comm. App. note D. passim. Yates’s Minutes, 4 Elliot’s Deb. 84. The Federalist, No. 15; 1 Kent Comm. 200, 201. See in 1 U. S. Laws, (Bioren & Duane’s Edition, p. 37 to 54,) the proceedings of the old congress on this subject See also The Federalist, No. 21; 1 Tucker’s Black. Comm. 235 to 238; The Federalist, No. 22, 32. 5 Marshall’s Life of Washington, 55; 1 Amer. Museum, 449. 2 Pitk. Hist. 158, 159, 160, 163; 1 Tucker’s Black. Comm. App. 237, 243 to 246; 1 U. S. Laws, 37 54. The Federalist, No. 21, 30. 2 Pitk. Hist. 156, 157. See also Remarks of Patterson J. in Hylton v. United States , 3 Dall. 171; 1 Elliot’s Debates, 208; The Federalist No. 21, 31; 3 Dall. 171, 178. See 1 U. S. Laws, (Bioren & Duane’s ed. 1815,) from page 37 to 54. 5 Marshall’s Life of Washington, p: 35, 36, 37. 5 Marshall’s Life of Washington, 37; Jour. of Congress, 3d Feb. 1781 ,p. 26; Id. l6th Dec. 1782, p. 38; Id. 26th April, 1783, p. 194, 203. The whole expense of the war was estimated at 135 millions of dollars, including the specie value of all treasury bills of the United States, reduced according to the scale of depreciation established by congress. 2 Pitk. Hist. 180. 2 Pitk. Hist. 180; 5 Marsh. Life of Wash. 33. 2 Pitk. Hist. 180, 181; Marsh Life of Wash. 35, 36; Journals of Congress, 12th Feb. 1783, p. 126; Id. 20th March, 1783, p 154, 157, 158, 160; Id. 18th April, 1783, p. 185 to 189.–An attempt was subsequently made in Congress to procure authority to levy the taxes for the Union separately from other state taxes; and to make the collectors liable to an execution by the treasurer or his deputy, under the direction of congress. But the measure failed of receiving the vote of congress itself. 5 Marsh. Life of Washington, 36, note. 2 Pitk. Hist. 181, 182; 5 Marsh. Life of Wash. 32, 38, 39. 5 Marsh. Life of Wash. 46, 47, 48; 2 Pitk. Hist. 216, 217. See also 2 Amer. Museum, 153 to 158, Mr. Pinckney’s Speech. See also 1 Kent. Comm. Lect. 10, p. 212 to 217, (2d edition.). Journal of Congress, 1786, p. 34. See also 2 American Museum, 153.–The Report of a committee of congress of the 15th of February, 1786, contains a detailed statement of the acts of the states relative to the measure. Jour. of Congress, 1786, p. 34; 1 Amer. Museum, 282; 2 Amer. Museum, 153 to 160. 5 Marsh. Life of Washington, 60. Journals of Congress, 1786, P. 34 to 36; 1 Amer. Museum, 282, etc.–The Committee, who made the Report, were Mr. King, Mr. Pinckney, Mr. Kean, Mr. Monroe, and Mr. Pettit. 2 Pitk. Hist. 184, 222; 5 Marsh Life of Washington, 62, 63, 124; 1 Tuck. Black. App. 158.–The speech of Col. Hamilton, the in legislature of New-York, in February, 1787, contains a very powerful argument in favor of the impost; and a statement of the extent, to which each of the states had complied with, or refused the requisitions of congress. During the past five years, he says, New- Hampshire, North Carolina, South Carolina, and Georgia had paid nothing; Connecticut and Delaware, about one third; Massachusetts, Rhode Island, and Maryland, about one half; Virginia, three fifths; Pennsylvania, near the whole; and New-York, more than her quota. I Amer. Museum, 445, 418. New Jersey early felt the want of a power in congress, to regulate foreign commerce, and made it one of her objections to adopting the articles of confederation, in her representation to congress.–2 Pitk. Hist. 23, 24; I Secret Journ. 375; The Federalist, No. 38. 2 Pitk. Hist. 192, 214, 215; 1 Amer. Museum, 272, 273, 281, 282, 288; The Federalist, No. 22.–1 Amer. Mus. 13 to 16; 2 Amer. Mus. 395 to 399; The Federalist, No. 7; 1 Elliot’s Debates, 75; 1 Tucker’s Black. Comm. App. 159, 248, 249.–Mons. Turgot, the Comptroller General of the Finances of France, among other errors in our national policy, observed, that in the several states, “one fixed principle is established in regard to imposts. Each state is supposed to be at liberty to tax itself at pleasure, and to lay its taxes upon persons, consumptions, or importations; that is to say, to erect an interest contrary to that of other states.” 1 Amer. Museum, 16. 5 Marsh Life of Washington, 69, 72, 75, 79, 80. 1 Tuck. Black. App. 157, 159; 5 Marsh. Life of Wash. 77, 78; 2 Pitk. Hist. 186 to 192; 1 Amer. Museum, 282, 288; 2 Amer. Museum, 263 to 276; Id. 371 to 373; 3 Amer. Museum, 551 to 557,562; North American Review, Oct. 1827, p. 249, 257, 258. 5 Marsh. Life of Wash. 71, 72, 73; 2 Pitk. Hist. 189, 190; 3 Amer. Museum, 62, 64, 65. Marsh. Life of Wash. 73; North American Review, Oct. 1827, p. 257, 258; Atcheson’s Coll. of Reports, p. 55. Journals of congress, April 13,1787, p. 32; Rawle on Constitution, App. 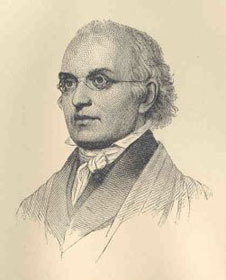 2, p. 316.–It was drawn up by Mr. Jay, then Secretary of Foreign Affairs, and was unanimously adopted by congress. It however failed of is object. And the treaty of 1783, so far as it respected British debts, was never faithfully executed until after the adoption of the constitution of the United States. See Ware v. Hylton, 3 Dall. R. 199; Hopkins v. Bell, 3 Cranch, 454. 2 Pitk. Hist. 192; 5 Marsh. Life of Wash. 70. 5 Marsh. Life of Washington, 80, 81. 5 Marsh. Life of Washington, App. note 1. The Federalist, No. 21; 3 Amer. Museum, 62, 63, 64. The Federalist, No. 21; 3 Amer. Museum, 62, 65. The Federalist, No. 22; 1 Amer. Museum, 275; 3 Amer. Museum, 62, 66. 1 Amer. Museum, 8, 9; Id. 363. 1 Amer. Museum, 8, 9; 3 Amer. Museum, 62, 66. See Chisholm v. Georgia, 2 Dall. R. 419, 447. 5 Marsh. Life of Washington, 33. 5 Marsh. Life of Wash. 92, 93, 94, 95, 96, 104, 113, 114, 118, 120; 1 Kent’s Comm. 202; 1 Tuck. Black. Comm. App. note D, 142, 156; 1 Elliot’s Debates, 208 to 213; 3 Elliot’s Debates, 30, 31 to 34. 5 Marsh. Life of Wash. 124. Mr. Jefferson uses the following language: “The alliance between the states, under the old articles of confederation, for the purpose of joint defence against the aggressions of Great Britain, was found insufficient, as treaties of alliance generally are, to enforce compliance with their mutual stipulations; and these once fulfilled, that bond was to expire of itself, and each state to become sovereign and independent in all things.” 4 Jefferson’s Corresp. 444. Thus, he seems to have held the extraordinary opinion, that the confederation was to cease with the war, or, at all events, with the fulfillment of our treaty stipulations.